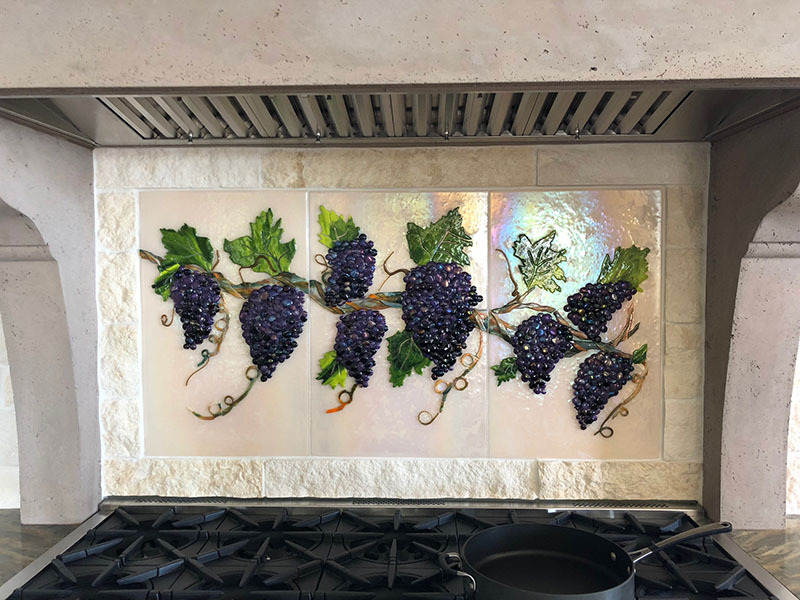 We created this custom fused glass kitchen backsplash for our client in Glendora, CA. 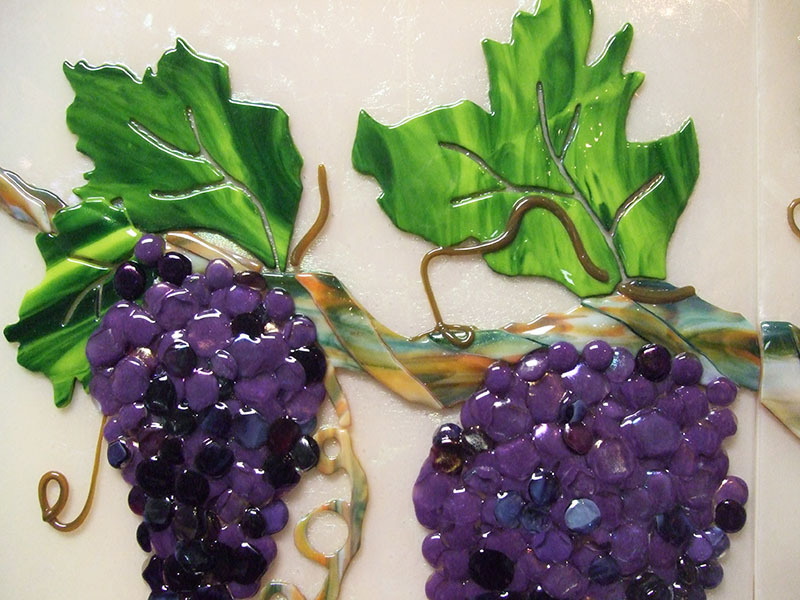 The dimensions are 28″ x 48″ and comprised of three panels arranged seamlessly The motif is a grape vine with clusters of purple grapes and green and yellow leaves. 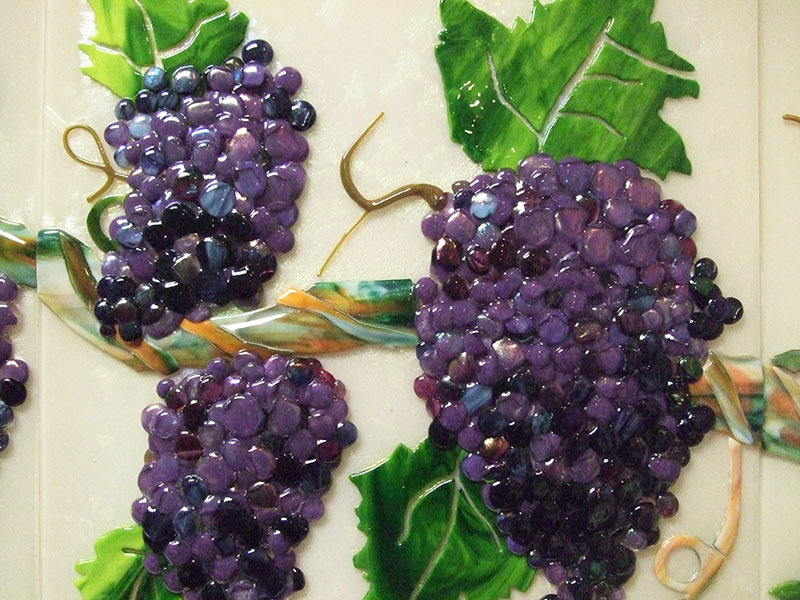 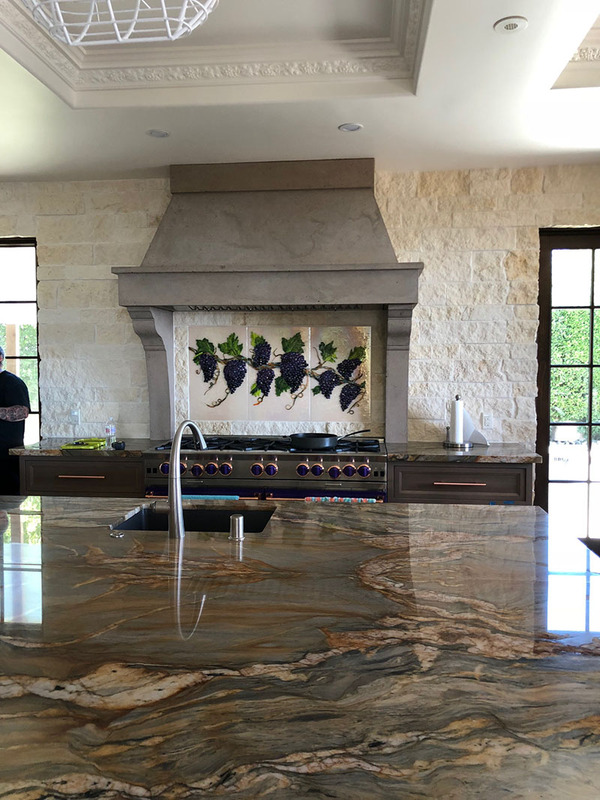 The grapes and vine are several layers of glass to create the desired textural result. 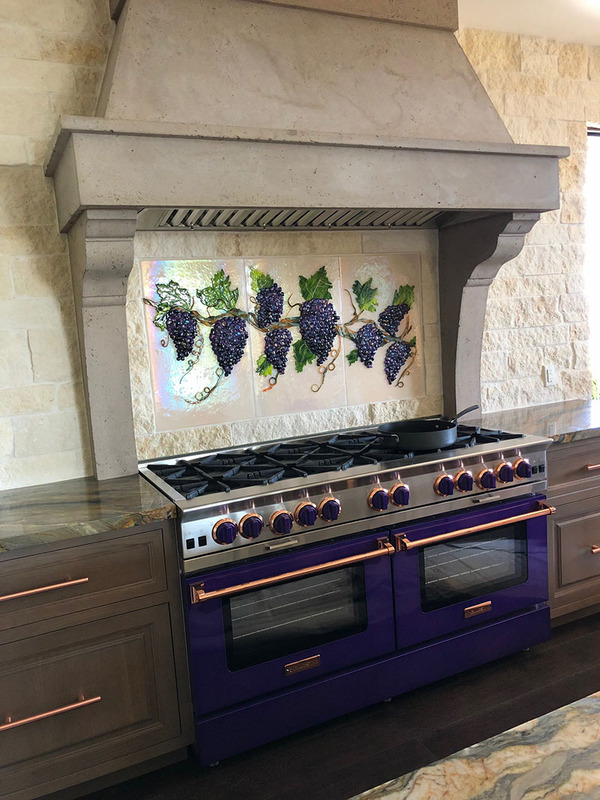 We incorporated layers of iridescent glass for added interest.